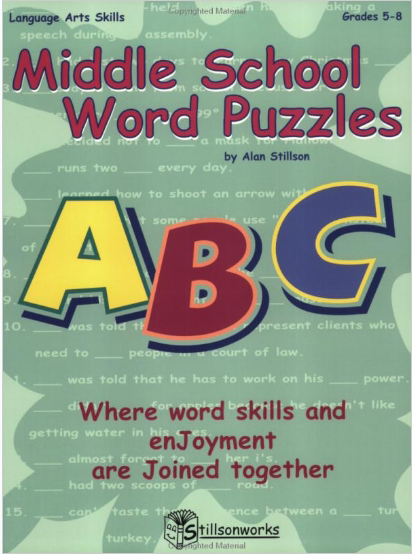 More than four hundred very short brain exercises for word puzzle lovers. 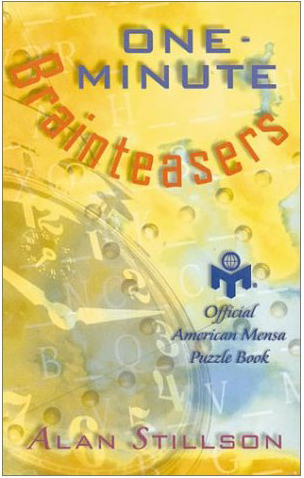 All can be done without a pencil – 96 pages - 8.28 by 5.33 – compare your answers with members of American Mensa, the renowned high-IQ society. 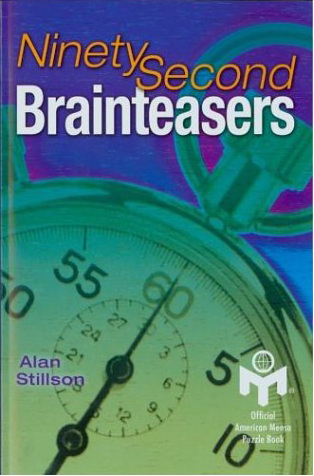 2001 – Sterling Publishing. Have a minute? Then you’ve got time for a baffling brainteaser! Not in a rush? Try as many as you like – they can be solved independently. Find back-to-back words with the same number of letters that are spelled alike except for one vowel. Fill in the missing word in a sentence that alludes to the topic at hand, from the culinary arts to computers. If we __________ this year, let’s have a formal wedding next year. Did the insurance salesman try to __________ and Pa a new policy in Alabama?